Mid Glamorgan Fork Truck Training has trained over 31,000 candidates and helped achieve a successful pass rate of 99%. ​​A mixture of theory and practical training exercises can help individuals looking ​to improve job prospects, or update or introduce new skills to an existing workforce. We are an accredited training centre for RTITB, NPORS and IPAF. On completion of accredited training, all successful candidates will receive either "in-house" or accredited training records, A4 Certification & photo ID card. 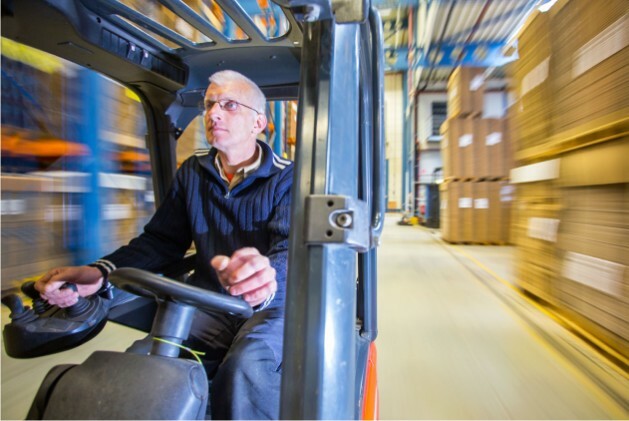 Mid Glamorgan Fork Truck Training regularly schedules a number of our most popular courses (see below) for Fork Truck, Plant Equipment and Powered Access Equipment. However, we specialise in providing bespoke courses to suit the exact requirements of your organisation, workforce or individuals. With a team of qualified and experienced trainers, scheduled and bespoke courses can be run simultaneously and availability is rarely limited by scheduled training courses. We operate two training centres, located in Ystrad Mynach (near Caerphilly), South Wales. Scheduled courses and bespoke courses are run from these sites. Contact Mid Glamorgan Fork Truck Training and discuss your bespoke training requirements today. The courses and availability below are for our two dedicated training centres only. Additionally we operate a team of trainers that can offer courses/training onsite, at your business premises. Click Here to Enquire availability of onsite training. Please Note: The above information was posted on Thursday 31 January 2019.